I came very, very close to buying this car. In fact, the only reason I didn’t buy it is that by the time my offer was accepted, I’d moved on to something else. That was only a couple of weeks ago, and I still think that this car will make someone a happy owner. I’ve been a member of the International M-100 Group since 2003 when I first attended one of their annual meets and found that most M-100 (the designation for Mercedes’ 6.3 and 6.9 motors) owners were certifiable Car Geeks like me. 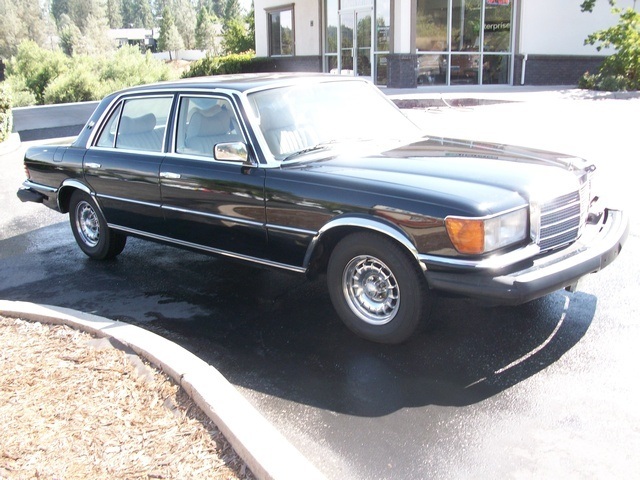 I also love the cars – the Grosser 600, the original “Banker’s Hotrod” 300SEL 6.3, and the car you see here: the 450SEL 6.9. Find this clean example here on Craigslist near Sacramento, California with an asking price of $9,500.